1. 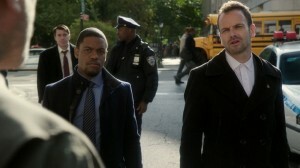 (2.10) “Tremors” – During a court hearing to determine whether he and Joan Watson should be kept on as consultants to the NYPD, Sherlock Holmes recalls the events that led to the shooting of Detective Marcus Bell. 2. (2.22) “Paint It Black” – Following Joan’s kidnapping by terrorists, Sherlock and his brother Mycroft Holmes race to investigate the connection between her kidnappers and a Swiss bank executive in order to save her life. 3. 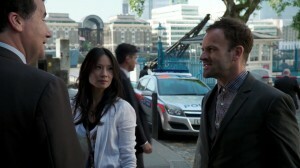 (2.06) “An Unnatural Arrangement” – Sherlock and Joan investigate the attempted assault of Lieutenant Thomas “Tommy” Gregson’s estranged wife, when their home is invaded. 4. (2.01) “Step Nine” – Sherlock and Joan travel to London to help the former’s police partner, Inspector Lestrade, who has gone into hiding after threatening a murder suspect with a grenade. 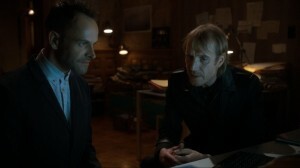 The pair also discovers that Sherlock’s older brother Mycroft is living at 221B Baker Street, Holmes’ former residence. 5. (2.17) “Ears to You” – Sherlock, Joan and the NYPD investigate when a former murder suspect receives a parcel with two severed ears in it, leaving the police to suspect that his “late” wife might still be alive and he might be innocent of murder. 1. “Future’s End” (“Star Trek Voyager”; 1996) – A 29th century timeship causes a time paradox when it accidentally sends itself and Voyager to two different periods in 20th century Earth. 2. “Tempus Fugitive” (“Lois and Clark: The New Adventures of Superman”; 1995) – Lois Lane and Clark Kent are brought back to the past by H. G. Wells, in an attempt to stop the time-travelling villain Tempus from killing the infant Superman. 3. “Endgame” (“Star Trek Voyager; 2001) – Admiral Kathryn Janeway comes from the future to try and shorten Voyager’s trip home. 4. “War Without End” (Babylon Five; 1996) – Former Babylon 5 commander, Jeffrey Sinclair, returns with a mission vital to the survival of the station – travelling back in time to steal Babylon 4. 5. “LaFleur” (“Lost”; 2009) – The remaining survivors of Flight 815 and the freighter find themselves permanently in the 1970s and become part of the Dharma Initiative, following John Locke’s disappearance. 6. “The City on the Edge of Forever” (“Star Trek”; 1967) – After accidentally overdosing on a powerful stimulant, Dr. McCoy acts erratically and disappears through the Guardian of Forever, a newly-discovered time portal on a remote planet. Captain Kirk and Commander Spock follow after learning that McCoy somehow changed history. Arriving in the 1930s, the duo meet Edith Keeler, a New York social worker who gives them a place to stay. As the days pass, and McCoy is nowhere to be seen, Kirk finds himself falling in love with Keeler… but Spock discovers that Keeler must die to restore the timeline. 7. “Déjà Vu All Over Again” (“Charmed”; 1999) – As a demon makes plans for his attempt to kill the Charmed Ones, he receives a visit from another demon named Tempus, who will turn back time until the demon succeeds in killing all the sisters. 8. “Babylon Squared” (“Babylon Five”; 1994) – A previous station, Babylon 4, reappears at the same place it disappeared four years before; and Jeffrey Sinclair and Michael Garibaldi lead an expedition to evacuate its crew. 9. “Chris-Crossed” (“Charmed”; 2003) – A mysterious woman from the future named Bianca arrives to take Chris Halliwell’s powers and bring him back forcefully to the future. 10. “D.O.A.” (“Timecop”; 1998) – After Jack Logan and his boss, Gene Matuzek are murdered, Claire Hemmings takes an unauthorized trip back to the past to warn Logan. Recently, I watched the ”CHARMED” Season One episode called (1.15) “Is There a Woogy in the House?”. In this episode, Phoebe Halliwell’s childhood fear of a boogeyman in the basement called the ”Woogeyman” proves to be true and it ends up taking possession of her and a few others – including her sister Prue’s ex-boyfriend, Andy Trudeau. Following this experience with the Woogeyman, Phoebe came to a conclusion regarding her moral compass. Josh: You know, I’ve met people like that. (He looks at Piper.) A spiritual nexus is a point of incredible energy. Prue: Equidistant from the five spiritual elements. Josh: That’s right. The place or thing that could be swayed either way. Josh: Yeah. Either to be a source of undeniable good or undeniable evil. Uh, look ladies, I’m gonna follow her and make sure she’s okay. Feel free to browse around our office if you think it will help. Phoebe: I’m beginning to wonder if I have a good one [dark side]. (Prue and Piper stare at her.) Well, I am. I mean, up until now, I didn’t even think I had a dark side. I mean, not any more so than anyone else. Prue: Yeah, well the important thing is the good side won out. Phoebe: Yeah, but I must have been more susceptible than either one of you, otherwise he wouldn’t of chosen me, right? Right? Piper: You were the only one that was born in the house, that makes you more connected to it. That spiritual nexus thing. Phoebe: That’s exactly my point. I could go either way. Good or evil. Kinda freaky. What in the hell was Constance Burge thinking? What on earth made her think that someone would be stupid enough to buy such a theory straight out of Sunday school for eight year-olds? Phoebe could easily turn good or evil, because she was born above the Nexus? That was Burge’s idea of characterization? Prue: Okay, to find a way back in, we have to know what we’re up against. The professor said that a true spiritual nexus sits equidistant from the five basal elements. So, that’s earth, fire, water, wood and metal. Prue: Looks like it’s not just on a spiritual nexus, but a wiccan one as well. Which means it’s a battleground for good and evil. The spiritual nexus beneath the manor was definitely not a Wiccan one. Wiccans are associated with the following five elements –earth, fire, water, air and spirit. The five elements mentioned by Prue in the episode are the following – earth, fire, water, wood and metal. These elements are associated with Chinese philosophy, not Wiccans. But it got worse. At least for me. By the end of the episode, Phoebe claimed that because she was born in the manor (in other words, above the nexus), she was more susceptible to being possessed by the Woogeyman than her sisters. What . . . a . . . load . . . of . . . crap! If for this reason Phoebe was more susceptible toward evil, then one might as well say the same about the others that ended up possessed by the Woogeyman – the repairman, Professor Whittlesey, one of the Halliwell neighbors . . . and Andy Trudeau. And I am certain that not one of them was born inside the manor. If Piper or Prue had been inside that manor alone instead of Phoebe, the Woogeyman could have easily possessed either of them. Why do I find this Nexus Theory about Phoebe hard to swallow? It does not make any sense to me. That is not good characterization. I do not even know what to call it. Phoebe was more prone to evil . . . and therefore more prone to be possessed by the Woogeyman? 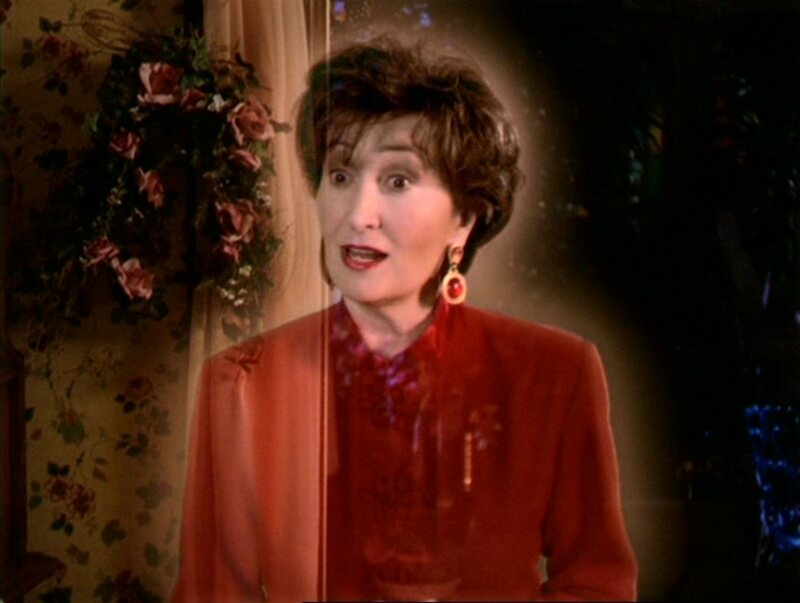 Had it ever occurred to Constance Burge or the episode’s writers, Chris Levinson and Zack Estrin, that Phoebe ended up possessed, because she had the bad luck to be in the manor alone with the repairman? First of all, the series has managed to prove that all four sisters had personality quirks that made them easily prone to evil. Prue’s anger, pride and arrogance made her very susceptible to evil. Probably more so than the other three sisters, due to her anger issues. Piper’s inability to deal with loss and her selfishness made her easily susceptible to evil. Phoebe’s selfishness and willingness to use shortcuts in life made her easily susceptible to evil. And Paige’s self-righteousness and sadistic nature made her susceptible. Everyone – whether in real life or in fiction have personality traits that makes them susceptible to evil. Why Constance Burge could not accept this and instead, used this Nexus Theory to describe Phoebe’s flaws eludes me. Perhaps Burge wanted an easier plot device to describe Phoebe’s personality . . . instead of good old-fashioned, well-written characterization. I cannot deny that I have always enjoyed “Is There a Woogeyman in the House?”. It has always been one of my favorite episodes from Season One. But this theory about the Nexus and Phoebe’s moral compass nearly ruined it for me. It is a crap theory, supported by bad writing. Instead of recognizing that just about anyone – namely any sentient being can choose a path of good or evil, given the right circumstances or emotional button pushed. But Constance Burge and this episode’s writers decided to resort to easy and sloppy characterization by feeding the viewers this black-and-morality crap that the Nexus would explain Phoebe’s occasional delinquent behavior. It seemed like a bad ending to a pretty good episode. 1. 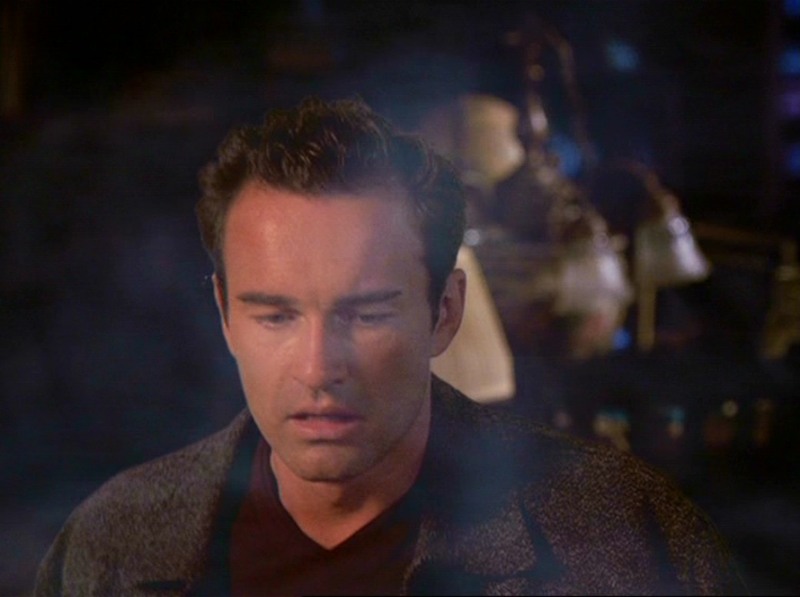 (1.04) “Dead Man Dating” – In one of my favorite episodes of the series, the Charmed Ones helpthe ghost of a recently murdered young man, who needs their help to settle a score with the gangster that murdered him, before an ancient spirit can harvest his soul. 2. (1.12) “The Wendigo” – While changing a flat tire, Piper is attacked by a werewolf-like beast called the Wendigo and the sisters are forced to hunt it down before she becomes a full-fledged one herself. 3. (1.10) “Wicca Envy” – The warlock Rex Buckland uses astral projection to trick Prue into stealing a tiara from the Buckland auction house, in order to blackmail the sisters into giving up their powers. Sadly, this episode marked the last for warlocks Rex Buckland and Hannah Webster. 4. (1.15) “Is There a Woogy in the House?” – Despite the slightly disappointing ending, I really enjoyed this entertaining episode about Phoebe being possessed by a demon called “the woogeyman”, trapped beneath the manor’s basement. 5. (1.17) “That 70s Episode” – In this poignant episode, the Halliwell sisters go back in time to 1975 in order to prevent their mother from making a pact with a powerful warlock – a pact that involved their mother’s protection in exchange for their powers. When I first saw (1.22) “Déjà Vu All Over Again”, the Season One finale for “CHARMED”, I promised myself that I would never watch another episode of the series again. Never. Yet four months later, I broke my promise and resumed watching the series for another three-and-a-half seasons. One would assume that I harbor some very negative feelings about “Déjà Vu All Over Again”. And that person would be wrong. From an artistic point-of-view, the episode was first-rate. Not only do I consider “Déjà Vu All Over Again” to be one of the best Season One episodes, I believe it is one of the best episodes of the series. And yet . . . after watching it, I was ready to give up the series. The ending upset me very much. Directed by Les Sheldon and written by Constance Burge and Brad Kern, “Déjà Vu All Over Again” began with Phoebe Halliwell experiencing a premonition of the most deadly kind. She saw a demonic attack result in the death of her oldest sister’s former boyfriend, Andy Trudeau of the San Francisco Police Department. And the demon in question happened to be one Inspector Rodriguez, who was established as a member of the police department’s Internal Affairs in previous episodes investigating Andy’s connection to the Halliwell sisters. Determined to prevent Andy’s death, Prue warns Andy that Rodriguez is a demon who has plans to kill her and her sisters – the Charmed Ones. As Rodriguez makes plans, he receives a visit from Tempus, a high-level demon for evil’s causes. 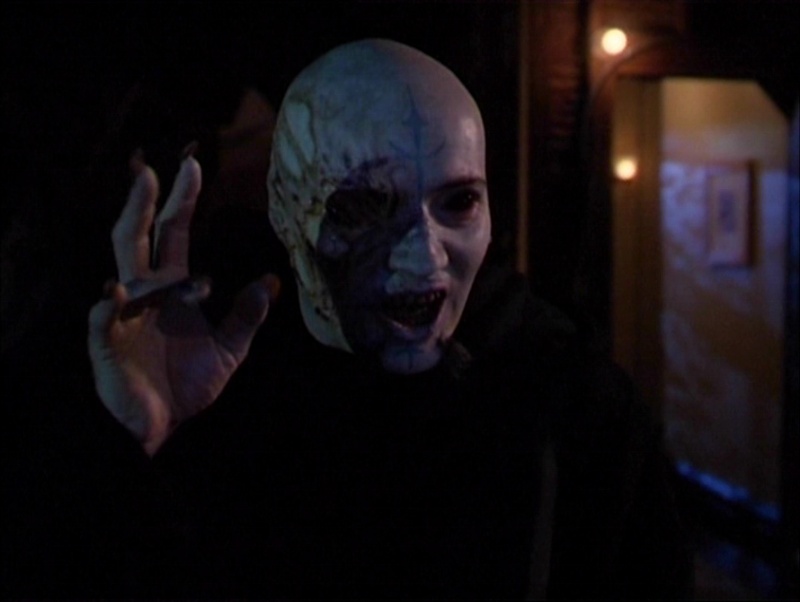 As the demon makes plans for his attempt to kill the Charmed Ones, he receives a visit from a demon named Tempus. According to him, Tempus has the ability to turn back time and was sent by The Source to help Rodriguez kill the Halliwells. Mind you, “Déjà Vu All Over Again” had its flaws. In one conversation between Rodriguez and Tempus, the latter instructed the younger demon to make sure that all three Halliwells were gathered in the same place before killing them. Frankly, this sounds rather stupid to me. Surely, anyone with intelligence would know that the Halliwells were at their strongest when they were together. For me, it makes better sense to kill the Halliwells one by one. After all, the sisters cannot stay in each other’s company, 24/7, unless they want to forgo a life. Why did Rodriguez even bother to appear at the Halliwells’ front door in the first place? He could have simply teleported inside the manor and kill the sisters a lot faster. According to (1.03) “Thank You For Not Morphing, Piper was born three years before Phoebe. And according to (1.17) “That 70s Episode”, Phoebe was born in late 1975, making Piper’s birth year 1972. Phoebe remembered that Piper’s old classmate, Joanne Hertz, had graduated from their high school in 1972, making her birth year 1974 or 1973. Why would Piper recall someone who graduated two years after her? Aside from Tempus’ suggestion that Rodriguez gather all three Halliwell sisters in one place before killing them, the flaws in “Déjà Vu All Over Again” seemed minor to me. In other words, the virtues outweighed the flaws. Burge and Kern nearly outdid themselves in an episode that served as the end of the first stage in the Halliwells’ lives as the Charmed Ones. The episode also marked the end of what I consider to be the best romance featured in the entire series – that between Prue Halliwell and Andy Trudeau. Another interesting aspect about this episode is that it marked one of the rare occasions when one of Phoebe’s premonitions tragically came true. 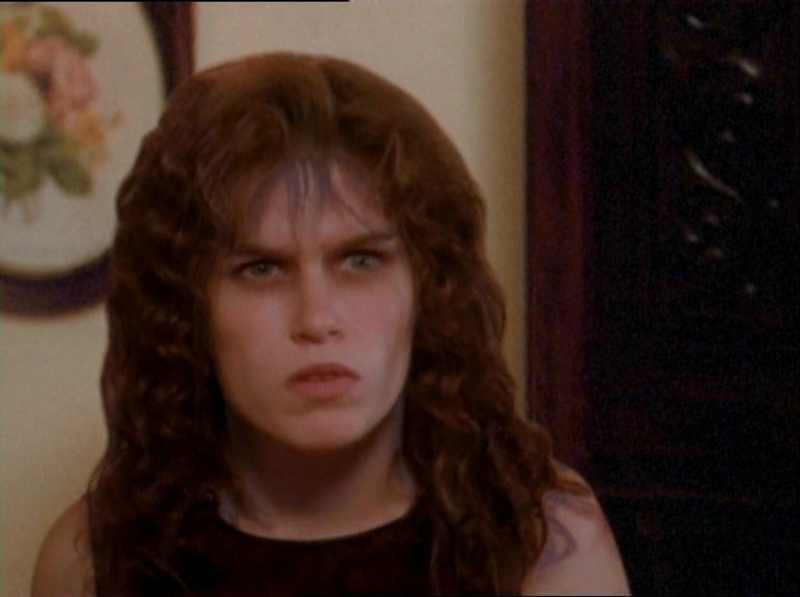 Rodriguez made three attempts to kill the Charmed Ones, thanks to Tempus’ time changing ability. If it had not been for Tempus, Rodriguez would have been dead after his first try. And so would Phoebe. After his second try, Rodriguez ended up dead again, thanks to Prue’s telekinesis. But he ended up killing both Phoebe and Piper before his death. On his third try . . . Phoebe’s premonition came true, when Rodriguez killed Andy. Is it any wonder that this episode depressed me? By this time, the sisters figured out that someone was rewinding time and they cast a spell to break Tempus’ time loop. Unfortunately, this act left Andy permanently dead. I supposed I should have foreseen this when I first saw “Déjà Vu All Over Again” all those years ago due to the scenes that featured Prue meeting Andy in a park to warn him about Rodriguez. Although their first meeting came off as slightly businesslike, their second and third scenes grew increasingly poignant and romantic. Both Shannen Doherty and T.W. King were excellent in these scenes. Carlos Gomez was appropriately intimidating as the demonic assassin out to kill the Charmed Ones. But it was David Carradine who gave the best performance as the time manipulator, Tempus. He was witty, elegant and menacing. It seemed a pity that he never made a second or third appearance on the show. Even worse, his character was mentioned before killed off-screen in the Season Three finale, (3.22) “All Hell Breaks Loose”. I am certain that my brief apathy toward “CHARMED” must have been figured out by now. This episode marked the last appearance of T.W. King as Andy Trudeau and it took me a long time to recover from this – over a year, to be exact. I had first became a fan of King, when I saw him in the short-lived series, “TIME COP”. His portrayal of the sharp and no-nonsense Andy only solidify my admiration of him. Unlike Julian McMahon, of whom I also became a great fan, King’s last episode proved to be first-rate and probably one of the best in the series. It seems a pity that it also proved to be one of the saddest for me.